One of the most celebrated thrillers ever written, The Day of the Jackal is the electrifying story of an anonymous Englishman who in, the spring of 1963, was hired by Colonel Marc Rodin, operations chief of the O.A.S., to assassinate General de Gaulle. A former American president nearly dies during an ill-planned exploration through the Brazilian Wilderness and down the River of Doubt. Theodore Roosevelt was a naturalist, explorer, author, hunter, governor, soldier and 26th President of the United States. Narrator sounds like an excited cookie baker. On the eve of the Cuban Missile Crisis in Paris, 1962, Devereaux and Nordstrom uncover Soviet plans to ship nuclear arms. 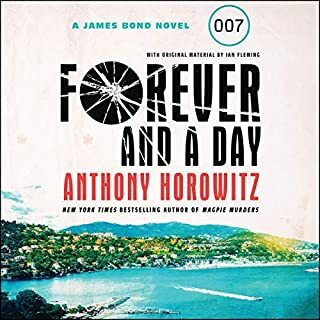 But when nobody acts after sharing his findings, Devereaux becomes the target of an assassination attempt and soon realizes the plot extends far beyond Cuba - and himself. A thrilling and well-paced novel filled with Cold War intrigue, Topaz features two agents on a journey around the world to save NATO and themselves. James Bond is targeted for elimination by SMERSH, and the malevolent Colonel Rosa Klebb has set a trap in Istanbul. The bait is the Spektor decoding machine, which is to be delivered by the irresistible Tatiana Romanova. The assassin is Red Grant, a psychopath who has defected from the West. Bond and Tatiana become pawns in a game of cross and double-cross that reaches its deadly finale on the Orient Express. 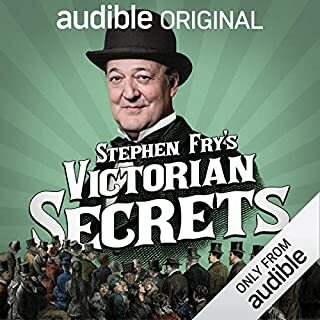 This audiobook includes a bonus interview with Toby Stephens. Picking up in the wake of events from the more mediocre Diamonds Are Forever, Fleming's next one in the series turns out to be one of the most heralded. It's certainly the one that really got James Bond's name out there to American audiences (thanks, JFK). But is the hype around this one worthy? Simply put, yes. 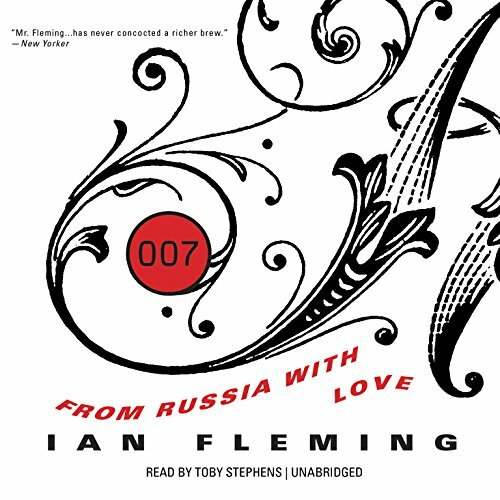 From Russia With Love brings us ever closer to the style fans associate with both Fleming and Bond. Even though we're still a few years away from the big screen version, Bond is finally developing the personality that Sean Connery would later refine and make his own. Interestingly, Bond is overshadowed whenever Karim Bey is in the story. Bey is the largest personality in the book, and Fleming had a lot of fun writing him. What's more, this is the first time we really get to spend some time with the villains without Bond being there. Bond doesn't really get any character time until chapter 11, leaving room for Fleming to show us how things are done behind closed doors at SMERSH, creating characters that would be translated more or less accurately for the film later on. The only major difference is that the film has these characters defecting from SMERSH to operate with SPECTRE, an organization that doesn't feature in the books until Thunderball. Roger Moore once quipped that Bond was the worst secret agent because everyone knew everything about him. This may be the book that inadvertently set that stereotype into motion. This time SMERSH is out for vengeance, seeking to murder both 007 and his reputation. The setup is a bit hard to swallow, and Fleming knew it too, which is why Bond questions it right from the start. But the story is told with such enthusiasm, you really don't care once things are set into motion. That enthusiasm changes everything. After Diamonds, it's like Fleming found a renewed interest in Bond. Or it could just be that better villains make for better stories. 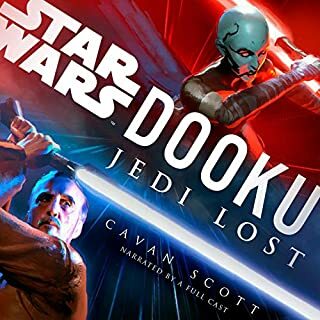 Toby Stephens' narration is superb, except for the offending "oh-oh-seven" pronunciation. This still bothers me, and probably always will when both Fleming and the popular culture say "double-oh seven." Even so, I'm learning to accept this is just how it's going to be. A British woman explained it to me like this: I'm an American, so I get no say, regardless of how Fleming did it, and as a Brit, whatever she says is automatically correct. Seriously, how do you argue against that? Absolutely loved it! 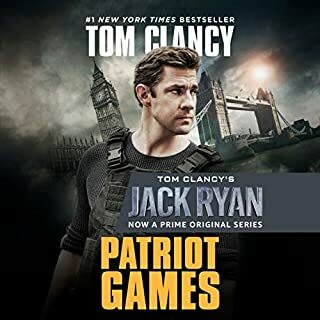 The detail of the characters is very well crafted and the train sequence toward the end of the book is riveting- really keeps you on the edge of your seat. 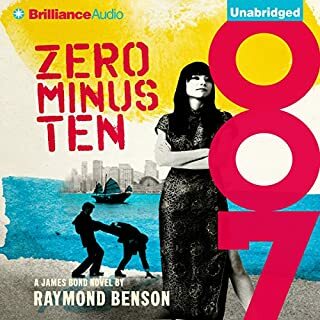 You'll have to give it a listen to find out just how thrilling this installment of Ian Fleming's 007 really is. This was another great book that was very different than the film. It provides another new view that was surprisingly nice. The reading was fantastic and the post read interview was fantastic. Excellent to rediscover Fleming’s Bond; far better than any of the movies. Gritty and real. Clean, masculine prose. Great place to start. Great writing and amazing performance from Toby Stephens. It’s interesting as there is a longggg build up before Bond appears but it is not dull and quite compelling. A must for any Bond fan. Plot is good. Writing is...meh. Cliches abound, but what can I say? I’m a Bond fan. It is also dated and misogynistic, of course... but, compared to the movies, I enjoy how the books provide glimpses into the lifestyle and inner workings of his thoughts. (Don’t you want to know that Bond uses an American chemex for his black, morning coffee and prefers his eggs boiled 3 1/3 mins?) And it is always fun to see what is different in the book or what scene was used in a different Bond movie, instead. At first, the narrator’s lilting vocal style was distracting and almost ruined it for me. But I persevered, and I’m glad I did. It seemed to become less pronounced as the story advanced. Or, maybe I just dealt with the annoyance and learned enjoy the story. Great care was taken in the layout of this book. 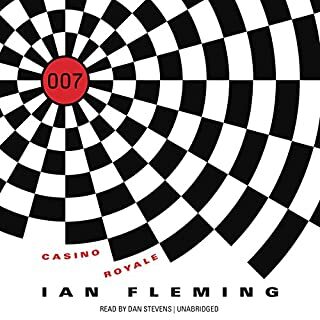 Bond himself doesn't even show up until nearly a dozen chapters in. Do not assume that this means that nothing is happening. Those early chapters are used with great effect in introducing and developing the characters of the opposition. The story plays out in as realistic a manner as I could possibly imagine, given the time period and world when this was written. All things considered, this may well be the best Bond novel yet. Oh, that ending...wow! I did not see that coming. Highly recommended...in fact, I think it is better now, than right after I finished it. The book does not let you go. Your mind keeps replaying the ending. Ian Fleming was highly underrated. Ranks right up there with Casino Royale and Moonraker at the top of the list. Definitely worth the read, listen or watch. the book is good, great in many ways. The film From Russia with Love I is in many ways exactly like the book which most Bond films are not. my big issue with this is that it takes 1/3 of the book to even be introduced to Bond! I wanted to see him quicker!!! the beginning set the story but Flemming took his time with it in a way I personally didn't enjoy. Once Bond comes in the picture it's pretty good though!